I honestly didn’t want to write a review, but I feel I have to given the blog. This is going to be short, general and as spoiler-free as I can make it. The movie has only been out two days and a lot of people have still to see it. I may write a more in-depth on later, but I doubt it because the sum of my feelings is that this was a giant misstep. Obviously, given its Rotten Tomatoes rating, reviews of other people I trust and the financial windfall it will gain, that’s a minority report. I felt this film was, by far, the worst of the seven MCU films. It is, for me, the only film that failed in its overall mission. I thought the plot was bloated, wildly indulgent and all over the map. The film clearly missed Jon Favreau in the director’s chair. The only pieces that felt like they had investment from anyone on set were the heavy F/X pieces. 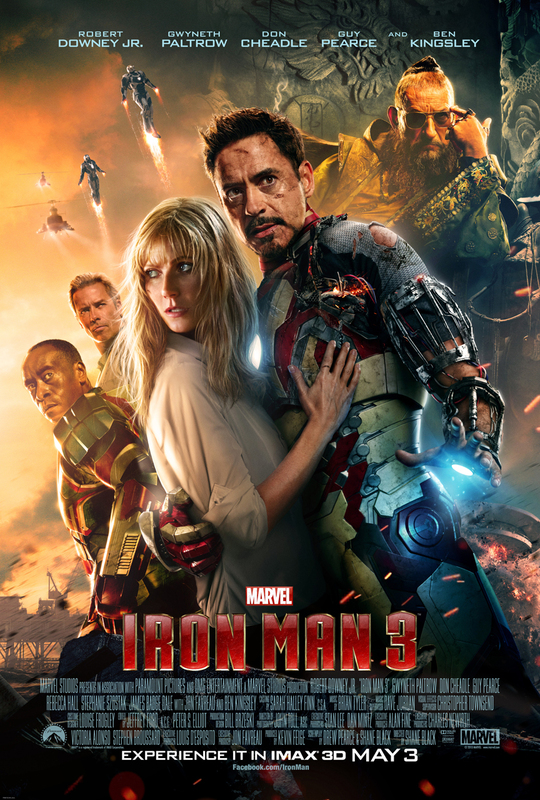 There has been a lot of speculation about whether Robert Downey Jr. will continue in the role. I think he barely showed up this time. Everyone seemed to be sleepwalking through this. The film did not seem to fit within the MCU. Stark seemed out of character. When I walk out of the movie thinking that I would have liked Tony and Harley in Tennessee for two hours more than that, we have a problem. The strength of the MCU films has been a deep reverence for and adherence to source material and respect for these characters as grounded in a Modern Marvel-esque reality. I can’t go into details without blowing some of the film, but this was not adhered to in the film. This felt like an early FOX Marvel film, not the quality we’ve been getting. I’m truly saddened and depressed by it. I feel like I did about Pixar after I saw Cars 2. Something that was spot on and perfect, isn’t anymore. I really have no desire to see this again. I hope Thor puts us back on track. here here! I was sorely disappointed in nearly every aspect. The plot was almost impossible to follow (even if I HAD watched it in English) and the acting was deplorable. A pity, as I was really getting into the Iron Man craze. I hope it doesn’t turn out to be as terrible as the GI Joe series, which I hope they bury very, very deep in the ground. I would say they should fire them off into space, but if other intelligent beings out there came across them, we would appear to be overly ripe for the picking-off…As for Cars 2: I refuse to see it. Ok one other semi-sane person agrees. Even if it IS you. I’ll take it. It’s so not even GI JOE lol. You should be sentenced to watching the first one again just for saying that. OR Cars 2. I’ll let you pick. I haven’t seen it yet… I’m probably gonna wait for the DVD… not for any other reason than because I’m trying to save money and there’s only two films I know for sure I’ll see this summer – Star Trek (for me) and Monsters University with my boy 🙂 We’ve gotten into a Pixar movie tradition now that I’m hoping, somehow, to continue, even once the divorce goes through. Otherwise, Pixar movies are gonna be rough on my heart and soul!